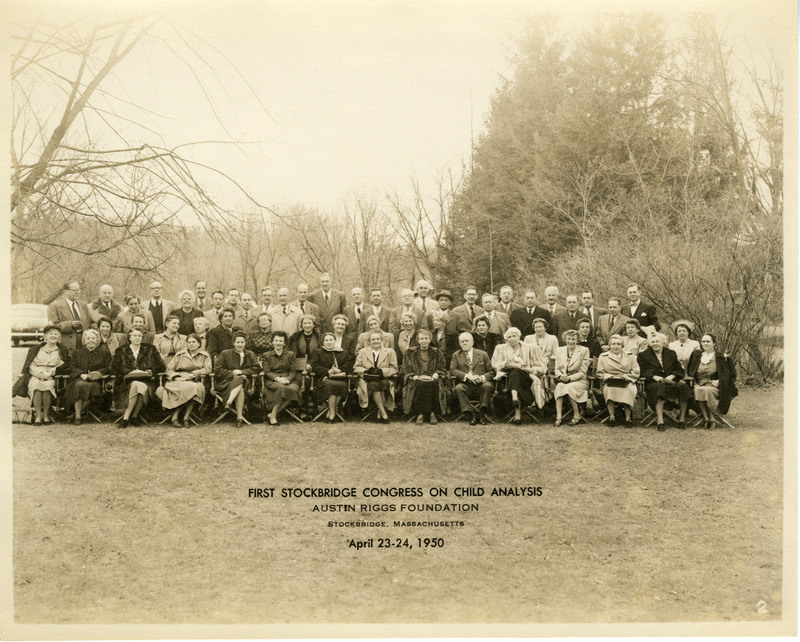 Group portrait of the First Stockbridge Congress on Child Analysis. Dr. Dawes is the second person from the left in the front row. Anna Freud is the seventh person from the right in the front row. An online guide to the collection is available. Unknown, “Group Portrait, First Stockbridge Congress on Child Analysis,” OnView: Digital Collections & Exhibits, accessed April 22, 2019, http://collections.countway.harvard.edu/onview/items/show/5901.